Teen Injured in Shooting Outside Harlem Nights Ultra Lounge; Security Failure? Could the shooting of this young woman have been prevented, and are justice and compensation available to the victim? 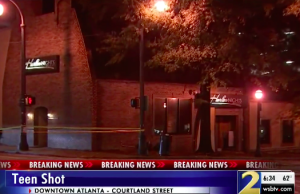 A 19-year-old woman was reportedly shot and injured outside “Harlem Nights Ultra Lounge…in the 100 block of Courtland Street early Thursday morning,” November 8, 2018, according to WSBTV 2. According to the AJC “an argument at [the] downtown nightclub spilled outside.” The young woman was transported to Grady Memorial Hospital with a gunshot wound to the leg. Her identity and current condition have not been released. Was negligent security a factor in this senseless Atlanta shooting? Read Our Legal Take below to find out if victim may have legal avenues for justice and claims for substantial compensation in Georgia. Business patrons have a right to feel safe and secure while on the premises. The Murray Law Firm questions the level of security provided at the property and whether this shooting may have been prevented. What security measures, such as bright lighting, monitored surveillance cameras, weapons screenings, and visible security personnel, were in place to deter crime and protect the victim at the time of the shooting? Was alcohol a factor in the shooting? What nightclub age restrictions were in place at the time of the shooting and how were these enforced? Were efforts made by nightclub security or management to safely and separately remove all parties involved in the initial dispute from the premises? Were police called at the start of the initial altercation? By law, property owners in Georgia are required to protect all those legally on the premises from any foreseeable harm. Should the facts of this matter reveal that the nightclub owner failed to provide adequate security, the victim family may seek justice and elect to pursue legal claims for her injuries. Could the tragic shooting of an innocent bystander have been prevented, and are justice and compensation available to Emeka Onyekwe’s family? 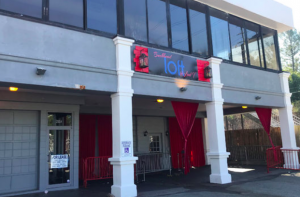 An altercation escalated into gunfire at a Buckhead nightclub Friday morning, October 5, 2018, tragically claiming the life of a 36-year-old Emeka Onyekwe. “You could tell they were going to get a weapon or whatever because they were talking a lot of mess. When they came back inside, they just started popping their guns, pow, pow, pow! Just crazy,” a witness told WSB-TV 2. Police have allegedly since charged a suspect in connection with the shooting. Was negligent security a factor in this senseless loss of life? Read Our Legal Take below to find out if Emeka Onyekwe’s family may have legal avenues for justice and claims for substantial compensation in Georgia. Nightclub patrons have a right to feel safe and secure while on the premises. The Murray Law Firm questions the level of security provided at the nightclub and whether this tragedy may have been prevented. Were any attempts made by nightclub management or security to de-escalate the initial altercation and safely and separately remove all parties involved from the premises, prior to gunfire? Were police called at the start of the initial dispute? What security measures, such as weapons screenings, surveillance cameras, bright lighting, and security personnel, were in place to deter crime and protect Emeka Onyekwe at the time of the shooting? By law, property owners in Georgia are required to protect all those legally on the premises from any foreseeable harm. Should the facts of this matter reveal that the nightclub owner failed to provide adequate security, Emeka Onyekwe’s family may seek justice and elect to pursue legal claims for their loss.